Tonight we tried pizza in the wood range for the first time. The oven did a fine job and while it took a bit longer to cook than the electric oven (5 minutes versus 3) the end result was just as tasty. 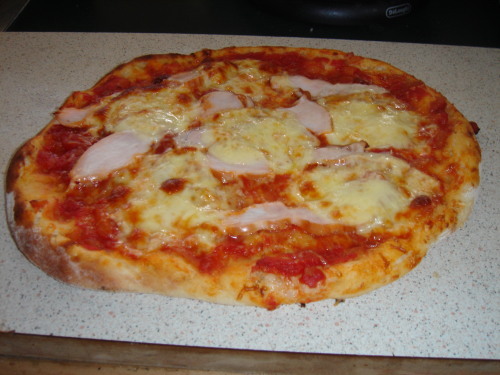 Since we got the oven in December, the only time I use the electric oven is for pizza. 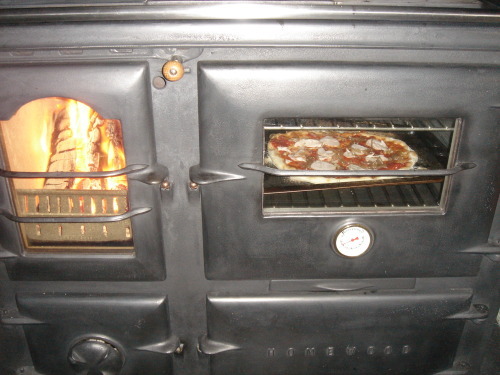 Now I know we can do it wood-style I’m hoping we can leave the electric oven switched off permanently.